Did you know that Doodle Pantry has a challenge twice a month? 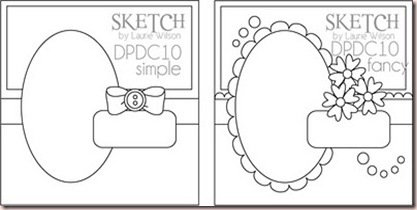 On the 5th and 20th of each month (delayed this time due to illness) Laurie gives her designers and loyal followers a challenge at the DP blog. This one was a sketch Doodle Pantry Sketch Challenge 10. You really have to find time to play as you could win 1 of 4 PRIZES! Visit the challenge post for all the details. I usually combine the release image and the challenge but I goofed and forgot. So I also made an ATC that used the sketch, kind of a blend between the two. 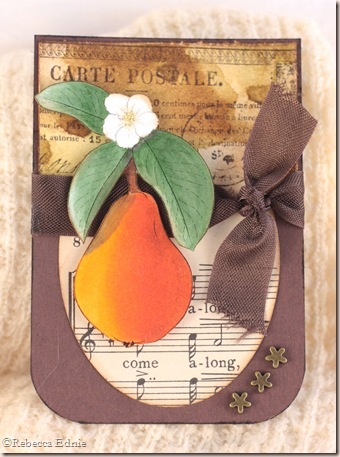 Ink: Antique Linen, Vintage Photo, Scattered Straw Distress, Staz on brown, chocolate-SU! Paper: vintage sheet music, all CS-SU! It doesn't get better than this, Rebecca! Gorgeous everything! 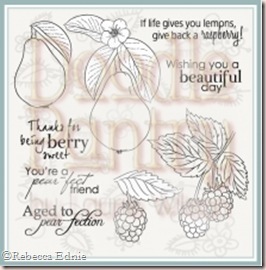 Your coloring looks wonderful!Such a pretty card.